A number of stories surfaced surrounding a confrontation between white Covington Catholic High School students and a Native American protester on Jan. 18. Many of these stories looked to prove that the students present were racist. To prove their points, they used explicitly false claims. This makes it important to look at news more in-depth. We should wait to form opinions until after the truth is clear. These claims should scare you. They demonstrate the ability of the major news outlets to publish slanderous content about anyone they see as an opponent. Those falsehoods could end up on the front page of your parents’ favorite news site. Nick Sandmann’s family has hired L. Lin Wood, a lawyer specializing in libel. 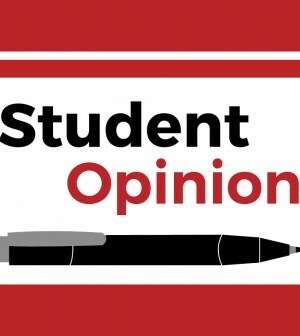 Sandmann and other students currently have a defensible legal claim based on reports from various news outlets and activists. CNN said, “The all-boys catholic school crew went so far as to shout ‘build the wall’ at a Native American.” Vox also makes a similar claim. However, the uncut two-hour video of the entire confrontation shows that is clearly false. Huffington Post said, “[Nathan Phillips] approached the boys because they were already exchanging racial taunts with another group of protesters.” This is also a false claim. Anyone who has seen the uncut footage can tell you that the boys did not make a single racial taunt. In fact, they are only being taunted at by the Black Hebrew Israelites. They do not reciprocate. Why did these news sources lie? They wanted to reinforce a narrative of what racism looks like in America today. In all angles of the footage, the kids in question are sporting Trump’s “MAGA” apparel. Liberal news sources wanted to label people who openly support Trump as racists. This causes good, moral conservatives to dissociate from Trump; it causes moderates to move to the left. Moving forward, Americans need to see news in its unaltered state. We cannot be manipulated into seeing stories as major publications with political agendas want you to see them.